“It’s too big for a coyote,” Philip Oliveira said of the animal carcass he keeps frozen in a cooler on his back porch in Rockdale, Texas. According to the Austin American-Statesman, this is one of the latest cases of people claiming to have found or seen a mythical, blood-sucking creature known as a chupacabra. State biologists though maintain that it’s still just that — a myth. Some people like Rocky Howe and Richard Cook, friends of Oliveira, though believe the carcass proves the legend is true. 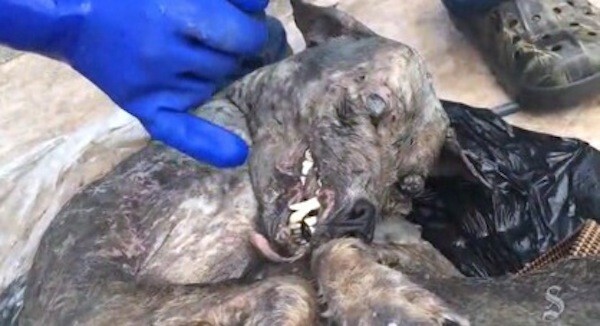 “It’s a chupacabra,” they told the newspaper of the animal discovered on Oliveira’s property in late May. “It was very fat and healthy, but his legs were unusually long in back and its paws were unusually raccoon-like in front,” he said. “The likelihood of discovering an unknown, large, hairless carnivore living undetected amongst people that looks exactly like a common species with mange are so astronomically small that it is difficult to justify spending valuable staff time and resources investigating and conducting DNA testing,” Evans told the Statesman. Oliveira said he’s going to have the animal DNA tested at a lab to help settle the matter none the less. The chupacabra legend, according to Live Science, appears to have started in 1995 in Puerto Rico based on a woman’s description of an animal that closely matched a creature in a movie. Live Science pointed out that actual analysis of alleged chupacabras have identified them as already known species.